Research & Education Project of the Matrix-Q Research Institute, a Division of the Stichting Luis Daniel Maldonado Fonken. 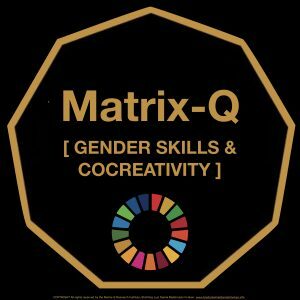 [ MATRIX-Q SDG Games ] SDG 5: How communication and collaboration between men and women can change our future ? [Matrix-Q Games] NEW SDG GAME: SDG 4 : “The Parenting School” as a preventive strategy for global sustainable development. How algorithms can be used for empowering SDG (SDG2030) entrepreneurs and innovators ? Would you contribute with suggestions and win 300K tokens ? Explore on how gender skills and inclusive co-creativity can change your economy!